At Dan the Man, we believe waste is a failure of the imagination. Every week, the team comes together with non-linear and creative thinking to design waste out of the system. This has resulted in some fun community collaborations e.g. using off cut fabric from a local fashion designer to make very vogue hankies for canape functions. Why have you made the effort to become more sustainable? We're a business that makes a profit from the resources available to us. If we're paying for the cost of a resource e.g. ingredients, and not taking into consideration the environmental cost to make that resource, we're an average business. We don't want to be average, we want to be awesome, so we're working towards a model where we take complete responsibility for all the resources we use. What would you suggest are the easiest changes a cafe can make to reduce their impact? Find a near-by community garden and give them your green waste to turn into compost. What was/is your biggest challenge and how did you resolve this or are working to resolve it? Making sure this was going to be something our whole team could get behind. With business model change that involves internal behaviour change followed by external, it's so much harder if you don't have an engaged team that truly gets the vision. We spent a lot of time as a team, working on our vision, and understanding what 'waste' meant to staff before we even attempted changing our operation. How have your customers responded to the changes you have made? 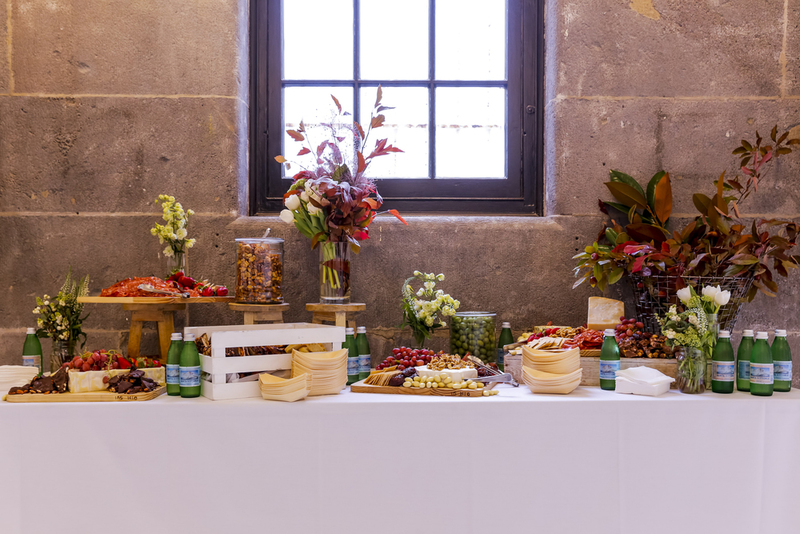 We don't make it obvious to our customers because we believe it's what a business should be doing, but the ones that are looking for a conscious caterer feel well aligned and are so happy we exist. Bonus question! What would be the one piece of advice you would pass on to others in their journey to reduce their waste? Use the expertise of the whole team and brainstorm ways to reduce waste one stream at a time. Dream large and think expansively. You could come up with community partnerships, new products, a community-based initiative that you wouldn't have thought of without going on this journey. One of our core philosophies is 'limitation leads to innovation' which we whole-heartedly stand by. Where to find Dan the Man?